Busan, a bustling city of approximately 3.6 million residents, is located on the southeastern tip of the Korean peninsula. The size of Busan is 769.82km² which is 0.8% of the whole land of the Korean Peninsula. The natural environment of Busan is a perfect example of harmony between mountains, rivers and sea. Its geography includes a coastline with superb beaches and scenic cliffs, mountains which provide excellent hiking and extraordinary views, and hot springs scattered throughout the city. Busan enjoys four distinct seasons and a temperate climate that never gets too hot or too cold. Since its inception in 1962, the driving focus of the Korean Tourism Organization (KTO) has been to create and support necessary tourism facilities and services such as hotels, travel agencies, and transportation infrastructures. 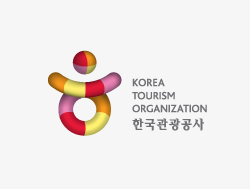 As the company has developed, the KTO further expanded its endeavors to include international promotion, developing and modifying Korea's tourism industry infrastructure, and developing tourism complexes to better accommodate a larger numbers of tourists. 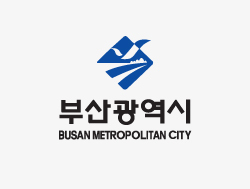 The BTO is a public corporation of Busan Metropolitan City which provides comprehensive services related to tourism in Busan in order to enable visitors at home and abroad to fully enjoy the charms of the beautiful city of Busan. All employees of the BTO are dedicated to building a city that everyone wants to visit again by carrying out various projects, including the development of distinctive tourism products, the provision of high-quality tourism services, attracting tourists at home and abroad, and making efforts to host MICE (Meeting, Incentive, Convention and Exhibition) events. 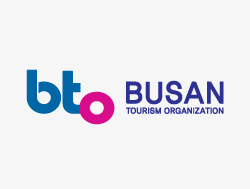 The BTO, by working together with the citizens of Busan, the tourism industry and academic circles, will develop Busan into a premium tourism destination by leveraging Busan's high-quality tourism services and unique features.